The oral history of The Game continues in a very special interview with Bill "Fish" Conner and Daryl "Action Burke" Burke. 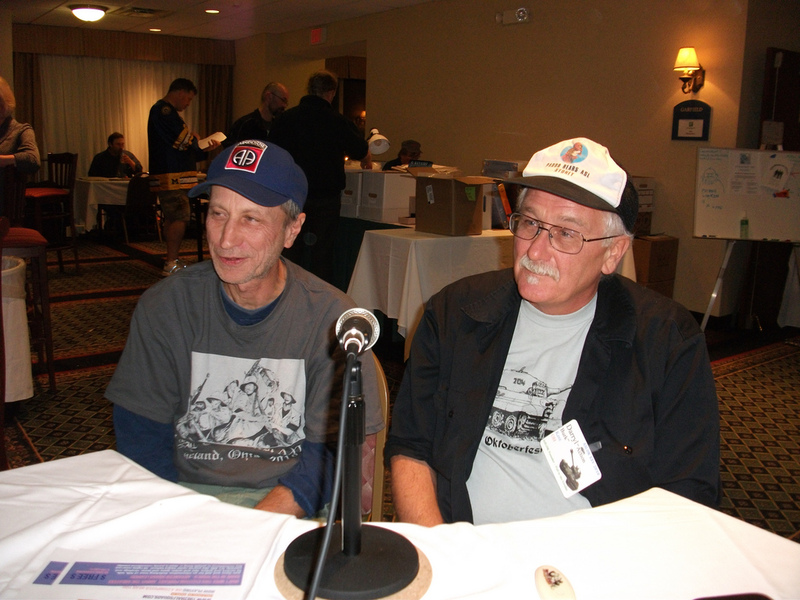 We caught up with these ASL legends at ASLOK 2010 and had a most fascinating conversation. Even Perry Cocke couldn't resist joining in with this historical duo. No doubt The Smithsonian Institute will be calling us for a copy of this show. No thanks -- we're going to auction it at Sotheby's. Also in this show, our new roving reporter Whit Richardson contributes a report from the Albany Tournament that includes interviews with Trezza and Bendis. The sound is a little strange due to a technical difficulty, but it is still thoroughly enjoyable. If you're kicking yourself for not entering our 2010 Ken Smith Art Print Contest you have a chance to redeem yourself with our new contest. It's our Funny ASL Lyrics Contest. Take any song and re-write the lyrics with an ASL theme á la Favorite ASL Things from Episode 45. Then send us your lyrics or call in and sing it to us for your chance to win a nice prize (yet to be determined) as well as global fame.